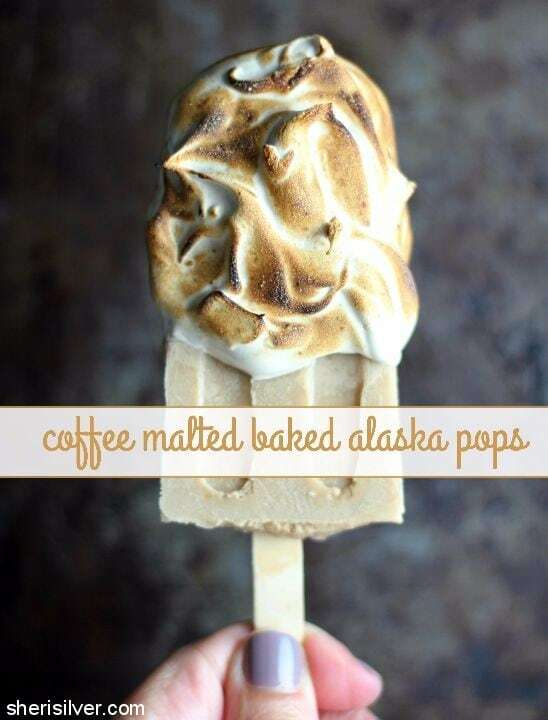 I’ve been thinking a lot about Baked Alaskas – ever since I made these. And I’ve been thinking a lot about coffee malteds – ever since I made these. And brown sugar meringue? Yes, please. And then I started thinking about coffee – and malt – and brown sugar – and meringue. ALL TOGETHER. And while these could accurately be called Sheri’s “all about me” pops, I’ve got to believe there are a few of you out there for whom these would be “all about you” pops too. If you’re wondering how the meringue holds up in the freezer – so did I (because moisture + time = sad meringue). 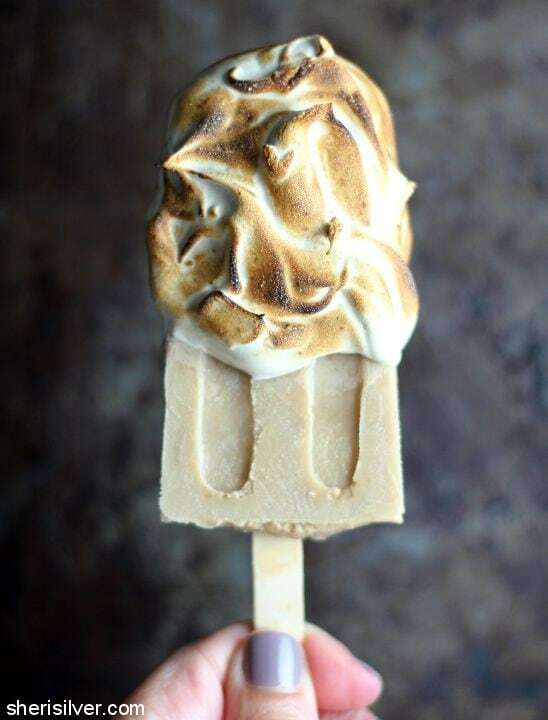 The meringue doesn’t have a crisp texture to begin with – it’s more like torched marshmallow (and is as delicious as it sounds). And even after a few days (yes, I deployed heroic levels of restraint, letting those pops sit – untouched – in the name of research. Then again, I had these to distract me so it was all good) the meringue stayed exactly the same. 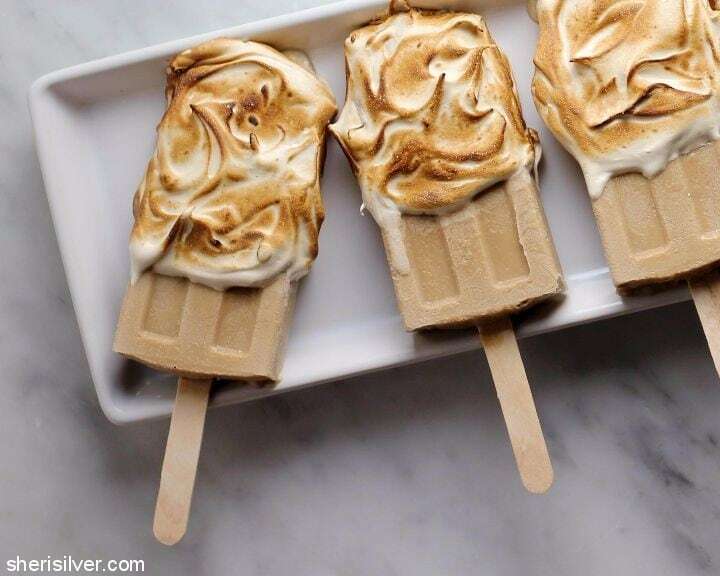 Whip these up for your next summer dessert – I guarantee they’ll be a hit! Make the pops: Combine the milk, cream, sweetened condensed milk, 2 tablespoons brown sugar and salt in a large measuring cup. Heat in the microwave for 1 minute, then whisk to combine. Add the instant espresso and malted milk powder (to taste) and heat in the microwave for another 30 seconds. Whisk again to combine and refrigerate for at least an hour (or up to one week). Pour the mixture into your popsicle molds and freezer for two hours, till slushy. Add your popsicle sticks and freeze overnight. To release the pops, hold molds briefly under hot water. Place on a baking sheet and return to the freezer. 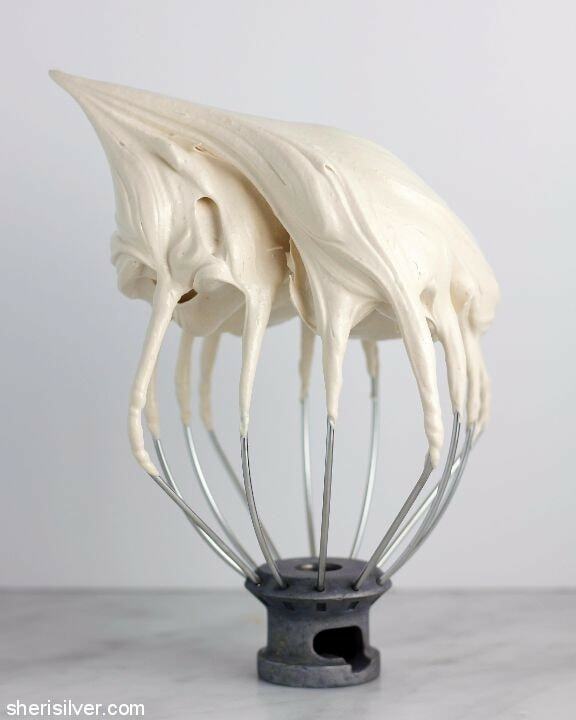 Make the meringue: In a mixing bowl, beat the egg whites on low speed till frothy and completely covered in tiny bubbles. Add the cream of tartar and increase speed to medium. When tracks begin to form, add the remaining cup of brown sugar, one tablespoon at a time. When all of the sugar is added increase the speed to high and beat till mixture is stiff and glossy. 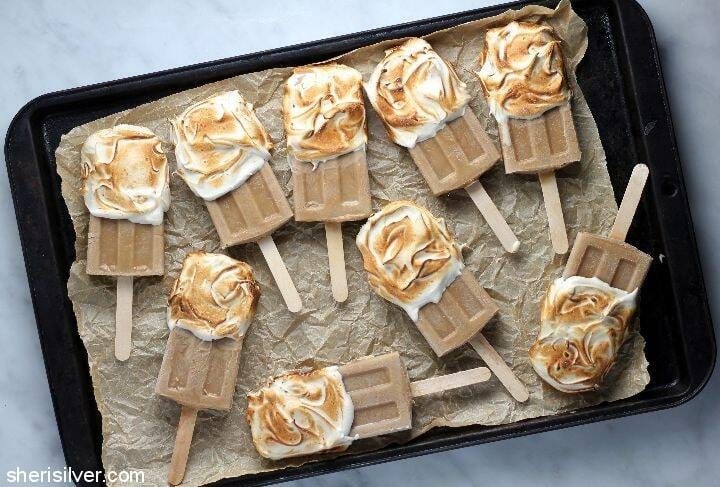 Working with one pop at a time, coat generously with the meringue, using a small angled spatula or the back of a spoon. 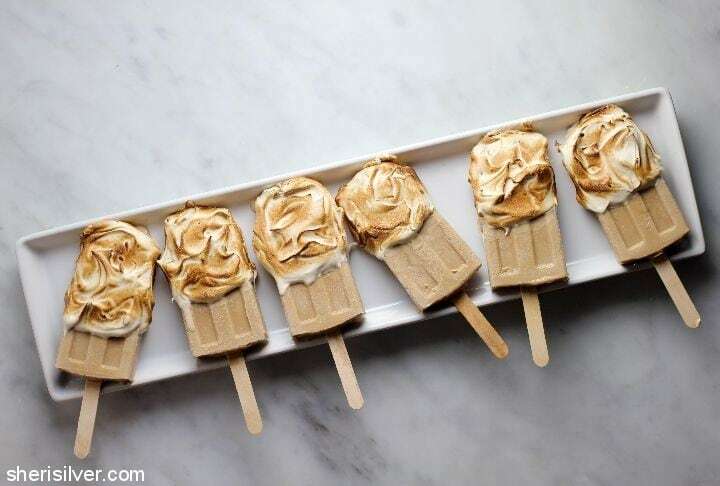 Use a kitchen torch to brown the meringue – return the pops to the freezer till ready to serve. Want ALL the popsicles? 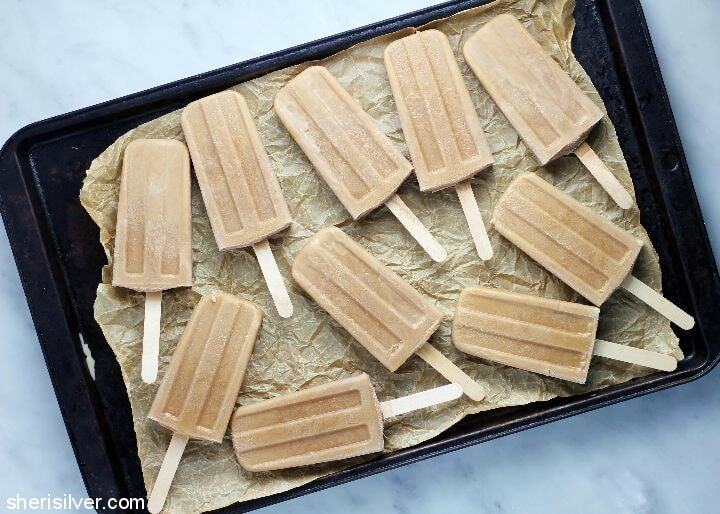 Check out my Popsicles Pinterest board!